Hello and welcome to the Phi Delta Epsilon-California Epsilon chapter! We are the only medical fraternity at the University of California Irvine and have continually assisted pre-medical students along the medical path since it’s fruition in 2004. PhiDE itself is much more than the average organization and offers everything needed to succeed in medicine. We have a smattering of service, educational, and philanthropic events set throughout the year, networking opportunities with various professionals(med students, physicians, alumni, etc. ), and offer key insider tips on how to navigate the path to medical school with ease. Through these various experiences, we assure complete confidence in our members’ ability to succeed in the medical field. At its heart though, what makes PhiDE great is its ability to be so complex yet retain familial values, which most organizations cannot offer. As we all know, the path to success in the medical field is a daunting and arduous journey. We as a fraternity offer a community of like-minded individuals and instill friendships to last a lifetime, making the journey much less difficult. I credit all my success in college to this organization. It has given me a family that I can rely on, connected me with professionals that have advised and fed my passion towards medicine, and given me the most unbelievable and memorable experiences of my college career. I hope you can share in the experience as you navigate our website and see how wonderful and unique this fraternity is. Thank you for your interest in our organization. 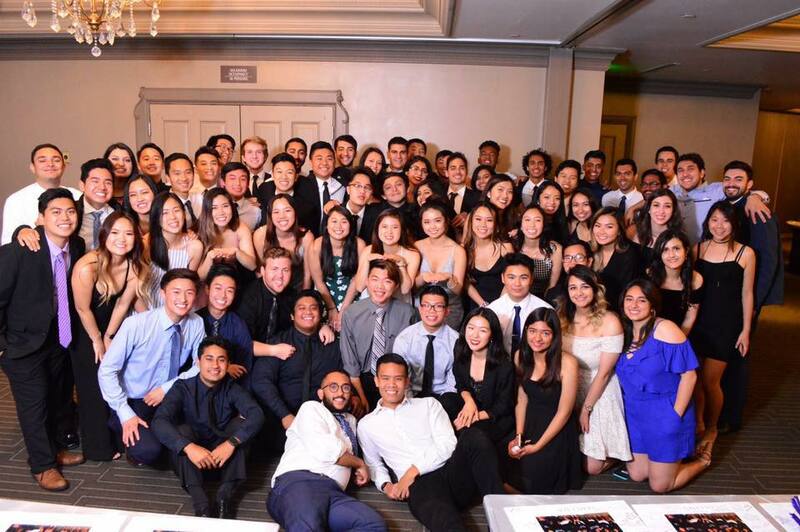 At UCI, our chapter not only represents the goals and mission of the International Fraternity By-laws, but also creates a warm and supporting environment for members. The active members of the chapter grow closer as we assist and support each other in realizing our common goal for the future: becoming a well-rounded physician. Through weekly meetings with doctors, med students and other professionals, we foster stable surroundings to establish the foundation for pre-med students to learn the how-to’s of preparing for medical school. Students come into the fraternity as modest, young men and women looking to find others with the same purpose, and they find and form friendships that last a lifetime.